Web Forum: Learn, discuss and share tips! Have a clear idea of what the issue is BEFORE contacting customer service. When you call DIRECTV, you'll first have to follow a series of automated prompts. The more straightforward your request, the easier it will be to connect you with the right departments. You'll more likely get the solution you're looking for if you give clear answers. Some common statements are: "My service is out," "I'd like to cancel my service," or "I'd like to change my plan." 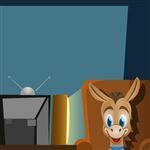 Call (855) 976-6355 for the latest promotions from USDIRECT, a CreditDonkey partner and DIRECTV authorized dealer. Mention code 110555 and get a $100 gift card when you order new service. You can also sign up through their official website, or call 1-888-777-2454. Having a specific goal in mind helps DIRECTV customer service to assist you. Is your service out? Ask them calmly and politely whether it would be possible to get a refund for the days of no service. Do you want to start new service? Research the specific packages or DIRECTV promotions that interest you. Then when you call, refer to that specific package to proceed with subscribing and installation. Have a billing question? Identify which billing cycle you'd like to discuss, Make sure to clearly explain the situation. From there, you can either ask for a refund or have your bill changed accordingly. No matter your issue, having a clear goal and objective will make it much easier for customer service to help. TIP: Consider a DIRECTV bundle deal from AT&T. You'll get better discounts if you combine your TV with internet and/or voice service. For new customers, or to set up a new service, call USDIRECT at 855-976-6355 for the latest promotions. 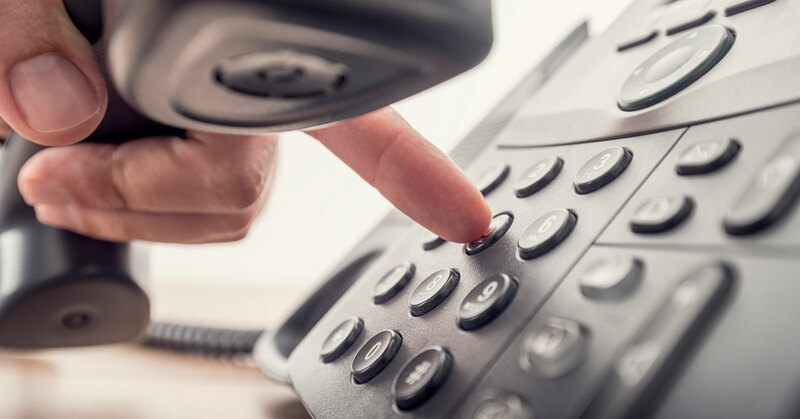 For customers using Telecommunication Relay Service (TRS), you may call their main line at 800-531-5000. For existing customers who wish to pay by phone, suspend, or cancel service, call 800-531-5000. This is DIRECTV's general service number, which provides other services for DIRECTV. Alternatively, you can also call AT&T's customer service hotline (AT&T is the parent company of DIRECTV) at 800-288-2020. Follow the automated steps to be connected to a live customer service rep.
Did You Know? Once you've registered your account with DIRECTV, you can log-on to check your bill, make payments, and change/manage your plans. Sometimes a customer service rep won't be able to solve your problems for you. You'll need to escalate the issue to a manager or supervisor who can better address your problem. Calmly tell the customer service rep, "I'm afraid I'm not satisfied with that. Would it be possible to refer my case to your supervisor or manager, please?" Step five: Always be calm and polite. Talking to a customer service representative can be a frustrating experience. But the calmer and more objective you are, the easier it is for them to help you. Being polite goes a long way. Try to remember the rep's name when they share it with you. Then use it, especially when saying "hello" and "thanks." Let them finish explaining the situation before responding. Being kind or respectful goes a long way to helping both parties find a resolution. 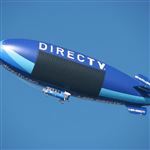 What are the benefits of DIRECTV's autopay/paperless billing? You'll earn a $5 credit off your monthly bill by enrolling in autopay/paperless billing. And since your bill is paid automatically, you'll never have to worry about late payment penalties. Always ask for documentation, especially with billing issues, so both parties have a clear understanding of the situation. You can ask them to email your latest bill statement. Or consider chatting with customer service online instead of calling. Their live chat system also allows you to save or print the conversation for your records. Did You Know? DIRECTV's NFL Sunday Ticket lets you watch every live out-of-market game each week. Live chat is one of the best (and fastest) ways to contact a customer service representative. They can help resolve most of your issues. If need be, you can also follow up by phone. Click on the "Chat available" box. If you prefer social media, you can also use Facebook to connect to DIRECTV. Chat with customer service on their FB account or simply write on their wall. Add their account at DirectTV Facebook. DIRECTV's new Genie HD DVR lets you record up to 5 shows at once and store up to 200 hours of HD video. It's good for large households with several TVs. Twitter is a quick and easy way to connect with DIRECTV. You can use it to commend them, talk about your favorite shows, or even vent or complain about something. Tweet them at @DIRECTV. 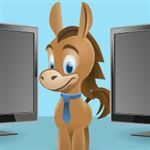 DIRECTV's parent company, AT&T, has a dedicated forum and resource center, where you can post a question about their services or products. You can also view questions or problems posed by other customer and the solutions they found. Most times, other fellow customers will respond to your queries. But they also have an official moderator who can give official advice or directions. View their resource center for more information. You have several ways to get in touch with DIRECTV. But before you contact them, make sure you have a clear idea of your problem and how you want it solved. Remember to be clear, straightforward, and polite to the customer service representative. That way both parties can work together to quickly resolve the situation.